Some videos I created to showcase the beauty in nature of Big Bear Lake through out the seasons while staying at our cabin, Bearly Home Cabin. All shot in UHD 4K using the Mavic Pro drone. The Fall video will be coming in late 2018! 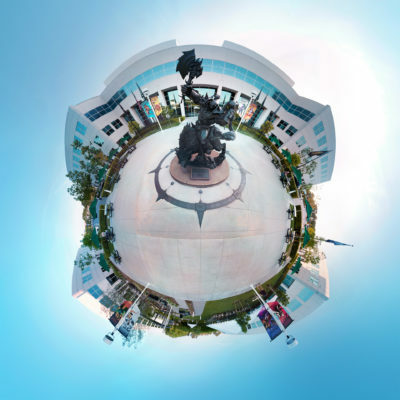 March 2018: Blizzard Entertainment made it on the Fortune 100’s list for the 4th year in a row. This was a celebration of that. October 2017: A showing of Blizzard’s support for diversity with the LGBT, Women’s Group, and friends represented in this video. 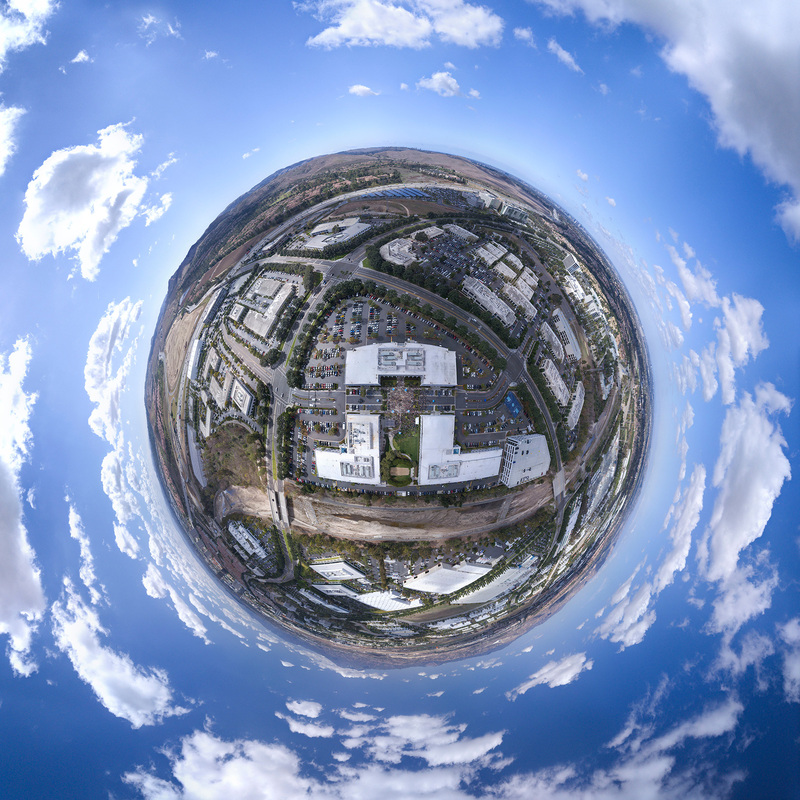 Using my Mavic Pro drone at the Blizzard campus in Irvine, California, I went up 9 meters for the first tiny planet, and then 40 meters for the second tiny planet. 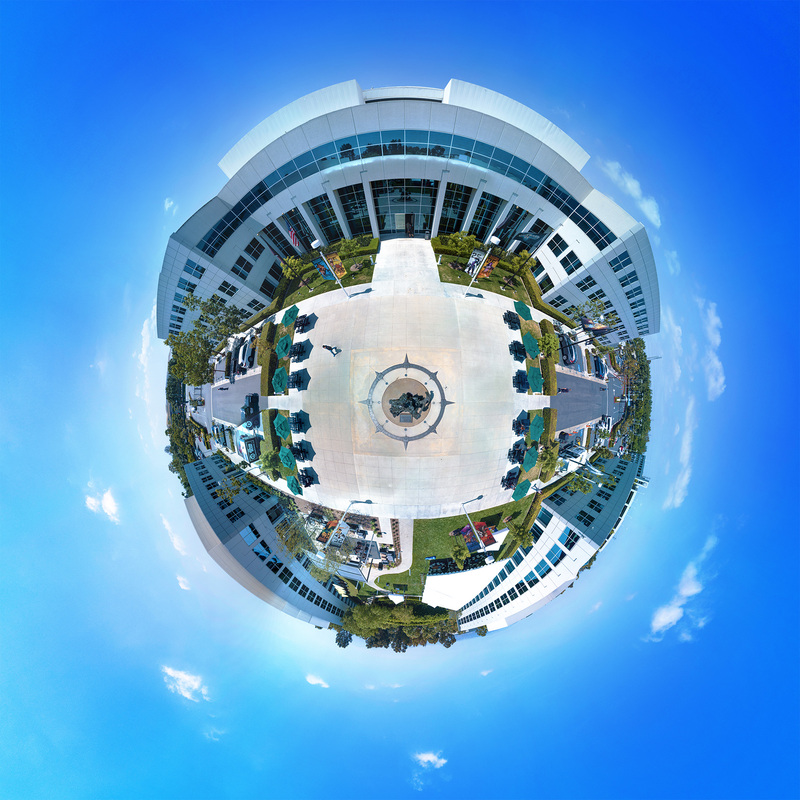 I then shot over 40 full resolution 4K plates per height which were then stitched together using a freeware program called Hugin. 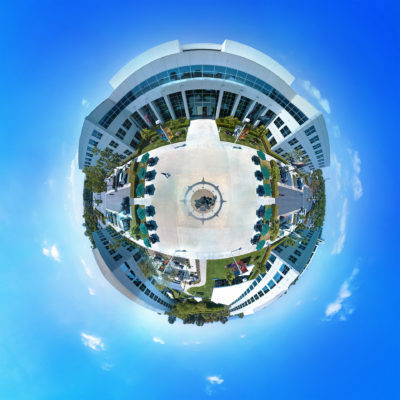 I twas then projected using a stereographic technique into a polar coordinate here to look like a centric tiny planet. Nowadays, I use PTgui to stitch my tiny planets, a VFX industry standard program. 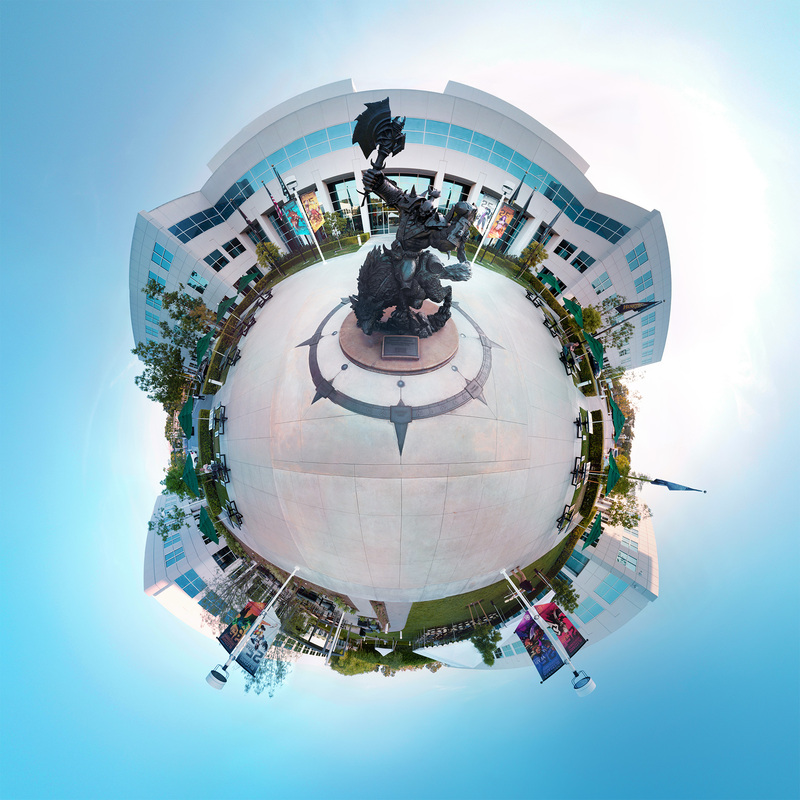 For this Tiny Planet, I went up to the max drone height of 120 meters to capture this shot on March 2018 for the Blizzard/Activision Fortune 100 company celebration. You can see most of the surrounding Irvine Blizzard buildings in the distance. Please excuse the interpolated Photoshop cloned clouds on the left and right sides to make this shot an HD aspect wide shot, which is usually square. 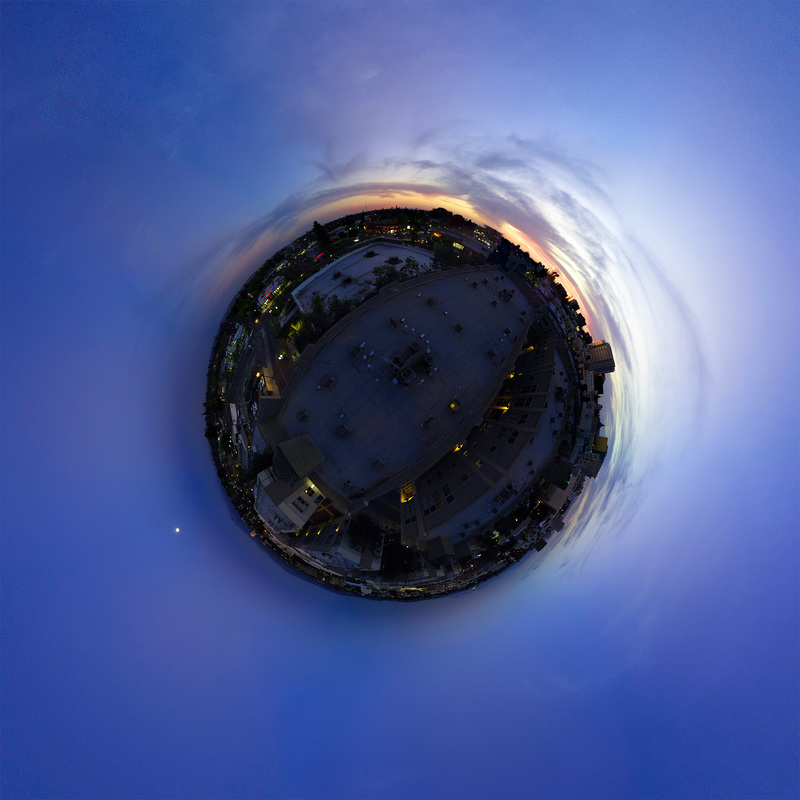 They are available to download here at HD resolution, including my first ever Tiny Planet test above my old artist loft rooftop in downtown Santa Ana, California.